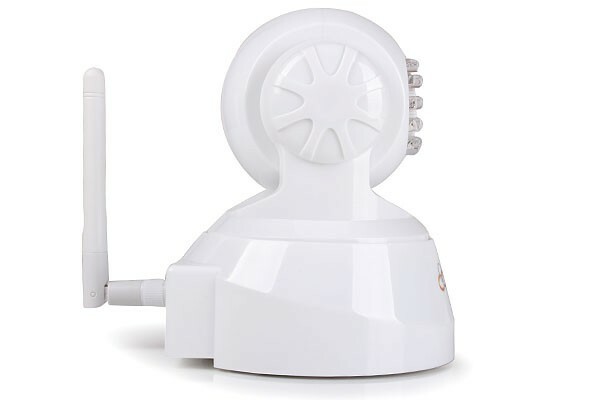 Free yourself from long video wires and enjoy the convenience of wireless technology with this pan/tilt IP camera. 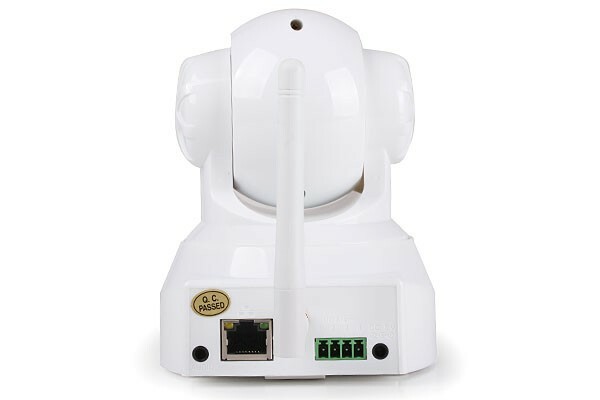 This camera can connect to your wireless router and record straight to your computer’s hard drive. 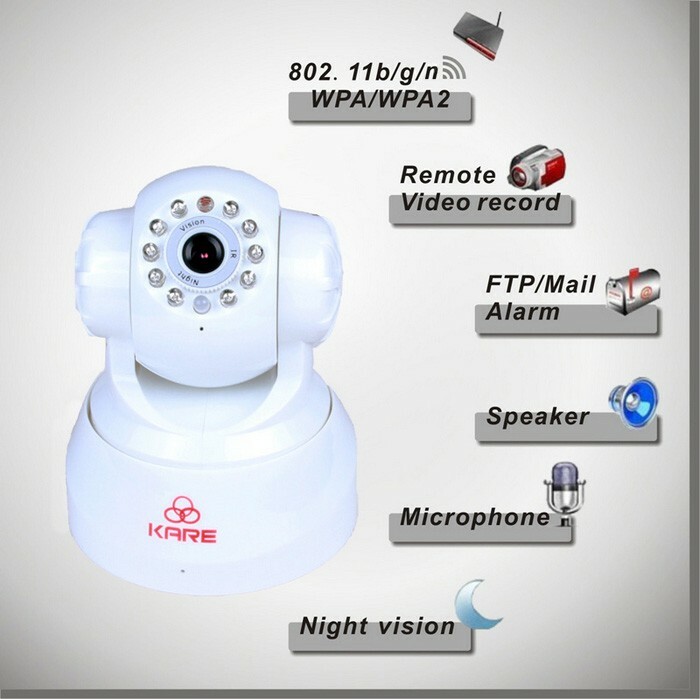 The advanced, built-in chip enables features such as recording triggered by motion detection, email alerts, and remote access from popular web browsers. 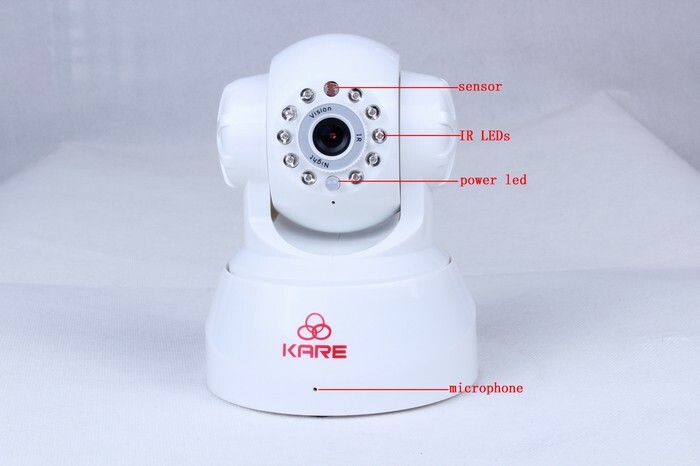 The ¼” CMOS image sensor provides resolution up to 640x480 (VGA) and good image quality. 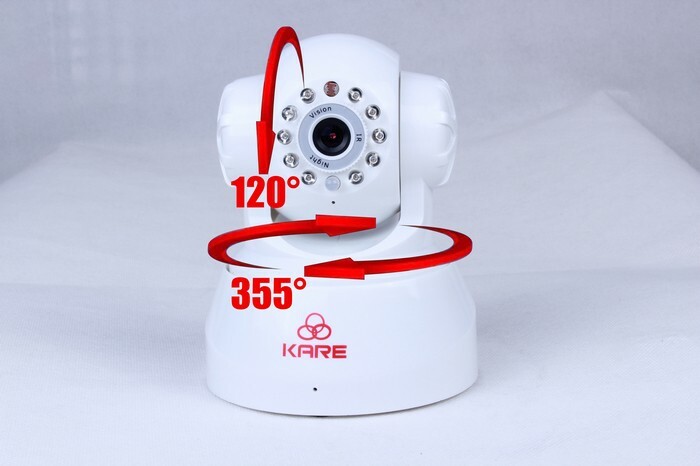 All 355° of pan and 120° of tilt rotation can be remotely controlled through the network. IP configuration is easy with the included software. phones like iPhone or phones with Android system other PDA. 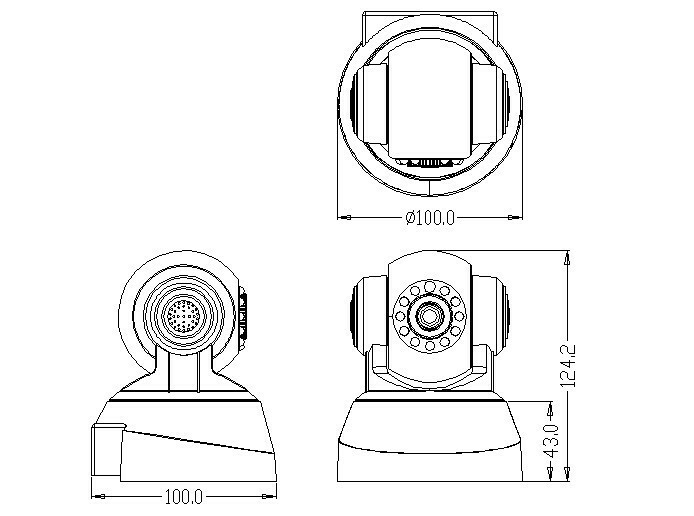 Support remote Pan/Tilt control and remote viewing & record. 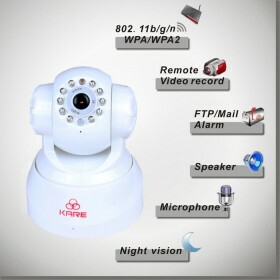 Mobile Platform No need to install software, Multi-screen monitoring and managing by mobile phone,alarming,viewing.